I love screenprinting but don't get to do it anymore myself because I learned how to print at a fancypants art school with their fancypants equipment and don't have a 5-million dollar drying machine at home (oh UV inks, so pretty, so not DIY in any way!). Someday I will learn how to screenprint the real way - in a dingy basement with a can of latex paint and some noise rock blaring - but until then I will count myself lucky when someone else steps up the plate and prints for me. 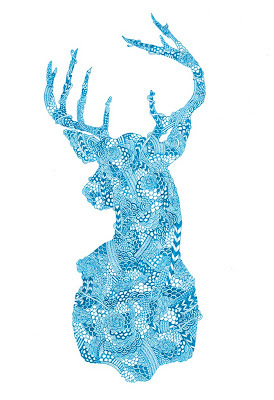 That's happened a few times this year, thanks to Threadless and Moniker. 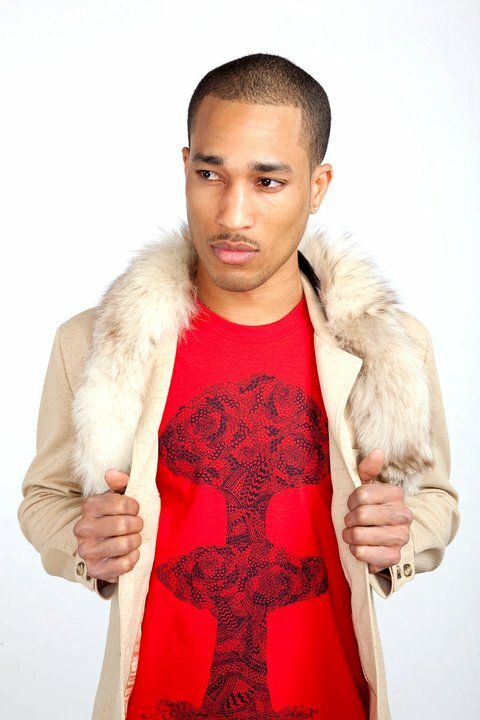 Check out the respected designs below. 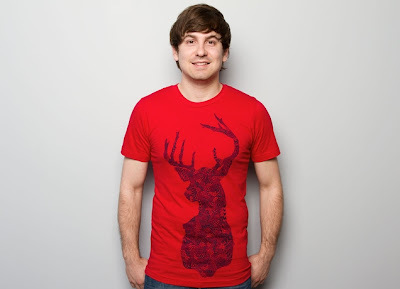 Deer shirt, available through Threadless! $20. Click here to order. 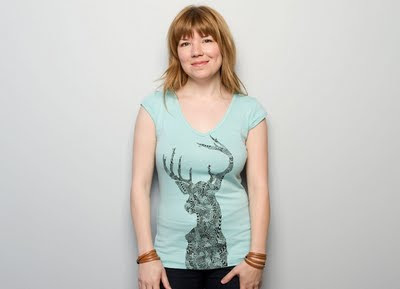 For this girl-tee (and the one featured above), click here. Also $20. The print is available through Society6, at varying sizes and prices. Check that out here. 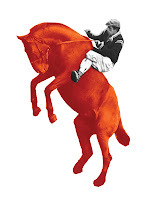 Note that this is the only thing in this post not screenprinted. They use a super pro laser printer. And now for Moniker! 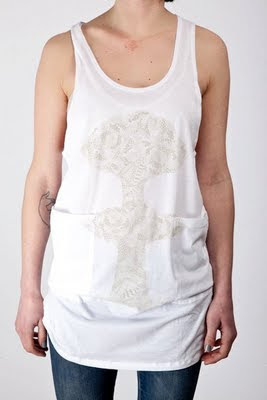 The atom bomb print. 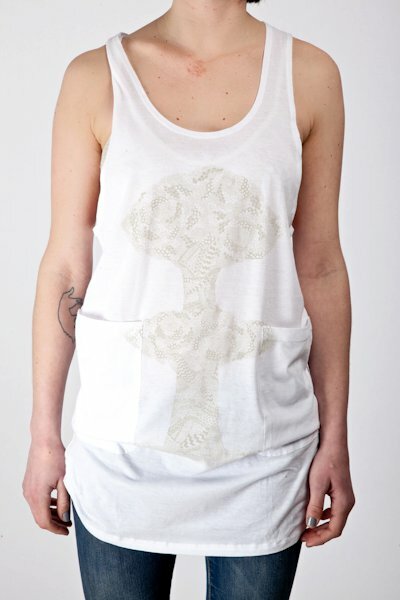 Girl tank top is taupe on white, $30. Buy it here. And the guy's version. Black on red! Also $30, check it out here. 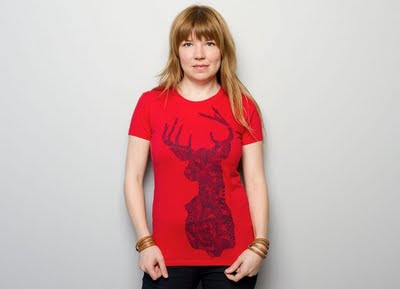 Moniker is an amazing screenprinting company here in Montreal that prints on garments made in North America and does a lot to support artists, such as the annual Machine Wash Cold/Tumble Dry Low. 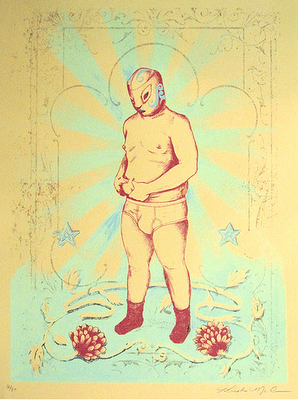 And last but not least, a screenprint of my little self-conscious lucha man is available! See more here.